Saffron, delicate plan with higher demand and usage. It’s not only the highest price of saffron that drive me to find out more about saffron but actually the important role of this unique spices sage throughout human histories. While its important roles will never get lesser, many are start to find out ways to grow them widely even plant it for their own usage. 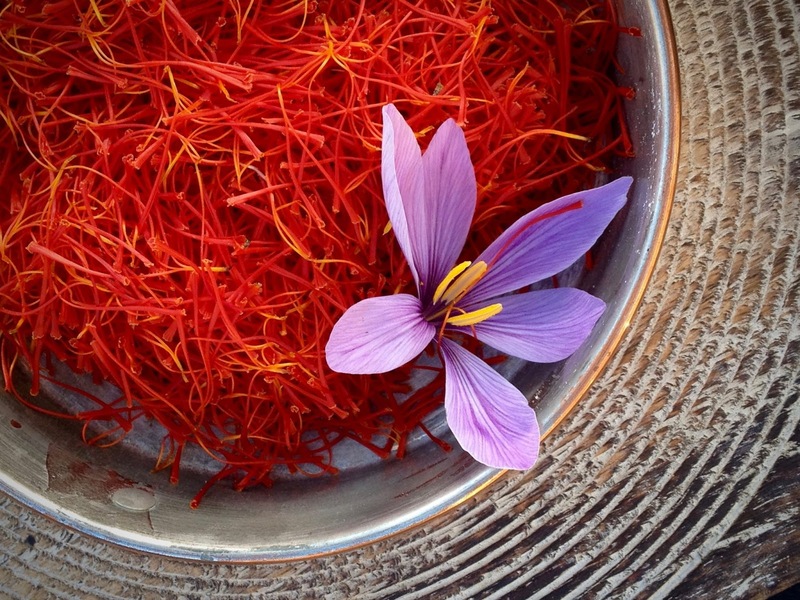 It takes 150 flowers to produce 1 gram of saffron. The plant originally came from Asian countries where it is still mainly produced: Iran alone accounts for 90 per cent of the total quantity harvested worldwide. Saffron planted widely in Asia even though it was said it originated from island of Crete. To remove its bitter aftertaste, here is a chef’s tip: press the threads between two aluminium sheets before use. Well, that something not all of us aware of. So this is something that we really need to know to ensure our saffron dishes are palatable. Together with turmeric, coriander, cumin, chilli pepper and other spices, it is one of the star ingredients in this Indian spice mix of worldwide fame. The other reason why it flourishing in Asia is the wide usage of spices in curry as they used as many spices that young generation not even know its name anymore. 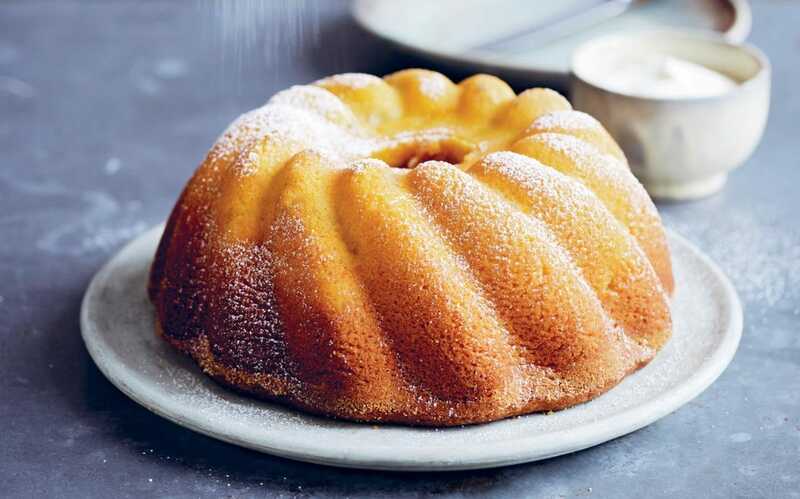 Among the most well-known dishes containing saffron, French bouillabaisse, pilaf and Asian biryani, Spanish paella and, last but not least, saffron cake from Britain are all experiences not to be missed. Instead saffron is easy to use with any dishes by simply added it to any cooking (you will master it very fast with some practices). 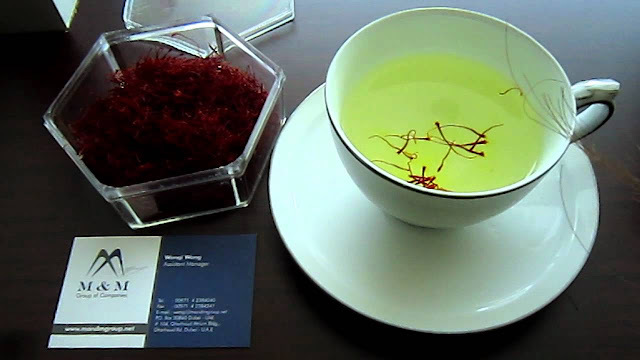 Saffron tea, another way to enjoy saffron. Saffron also used in soap. It takes 80,000 flowers to produce a pound of saffron (453 grams), with a cost in the range of 600 to 2,000 dollars (a pound), prices that make saffron the most expensive spice in the world Flower Saffron stigmas were gathered when the violet-blue flowers open and every flower produces 3, each one of which is about 25-30 millimetres long. 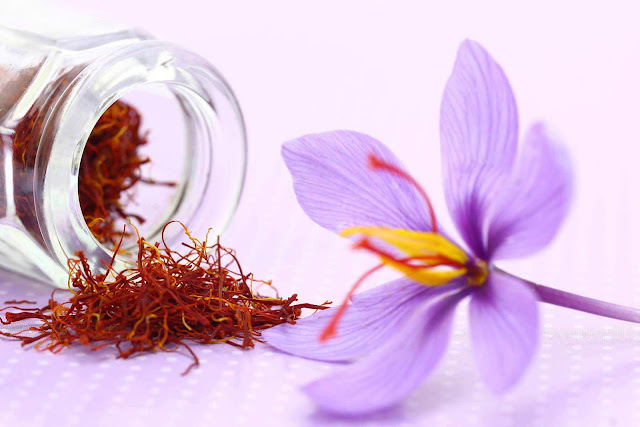 The limited production of saffron makes its price so expensive. In fact the farmer or the workers in saffron production not even making a good life. There is something to do in order to make sure this spice to be available to more with reasonable price by involving more technologies in its production. Some writers claim, however, that it comes from Greece, where it was found for the first time on the Island of Crete during the bronze-age. Over cultivation can change how some species behave. One of the sign is the incapable to reproduce sexually even though it’s flower producing plant (angiosperm). No one exactly know for how long saffron had been cultivated by human. Harvest time is autumn, and the process must be carried out by hand, usually by specialized pickers, almost always women, who detach the 3 stigmas one by one. The real reason why saffron become so expensive. It’s like the real output is only 0.0001 percent from all the hard works. The only thing that make the production possible is the cheap labour. If there’s no changes soon, it will become more scarce and more manipulation of its market. The 3-coloured Indian flag is saffron (to represent Hindus), white (for peace) and green (for growth). Something interesting to know on how important is saffron in some cultures. It’s not only to India, some other cultures shows their respect in different ways. In the hit song by Donovan entitled "Mellow yellow" the most well-known jingle that everyone sings under their breath is dedicated to this spice: "I'm just mad about Saffron, Saffron's mad about me"
Something we all should find out! Perhaps there are many other art works related to how important is saffron into someone else lives. Among the varieties hardest to find on the market is the saffron coming from the Indo-Pakistani area of Kashmir. Here they produce the darkest variety in the world which tends towards a purple-brown colour, called Mongra or Lacha. Another important thing to remember. Saffron is produced by plants. 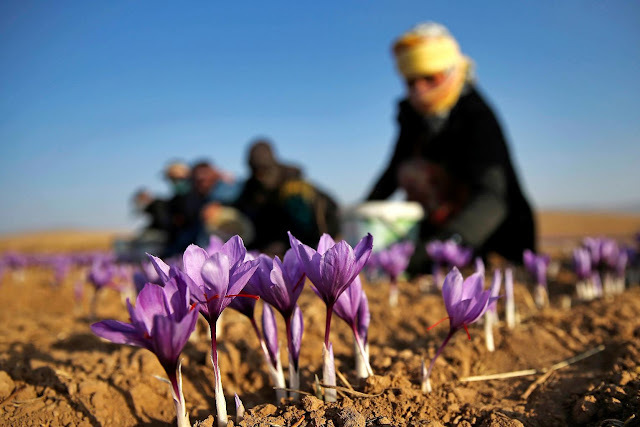 Many factors will affects the quality of saffron according to its geographical planting areas. Not two saffron from different areas have same qualities. During harvesting, on the Spanish plain of La Mancha it is customary to burn some stigmas on a low fire to diffuse the spicy aroma of saffron in the air. Saffron not only used for its taste and colouring property but also as incense to improve moods and also as an offering to the long lost ancestors (or spirits). Owing to its colouring properties, in ancient times it was used as a cosmetic, as well as for dyeing fabric and leather. In the Middle-Ages in Nuremberg, whoever adulterated saffron with the addition of less precious ingredients, was burnt alive. There’s another code that practiced in Europe Middle-age that known as Safranschou code. There must be many other undocumented practice in order to keep the adulteration of saffron in check. It also shows how important it is to human societies throughout the world. To combat drug trafficking, in Afghanistan a project has been set up to replace illegal opium poppy plantations with saffron. Good moves in order to increase income for farmers. Changing the source of income to more valuable that give more positive result not only for the farmers but also to the saffron market. A natural medicinal, it has been used since time immemorial for its antibacterial and antiviral properties, and is excellent for treating stomach-ache, coughs and bronchitis. While more studies to be carried out, the usage of saffron as remedies had been long in practiced for various purposes. There are international norms (ISO) which define its qualities, dividing saffron into 4 different categories according to its colour, aroma and taste. The standardization of quality is important even though the qualities of saffron varies by areas it’s produced. These standards will keep some ranges ton ensure the acceptable quality and to control their market values. 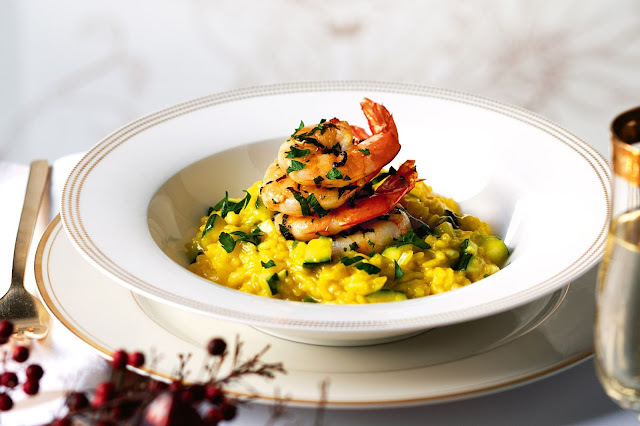 The most famous dish in the world is saffron risotto, using stock made from bowling fowl, which comes from the Italian city of Milan and is known worldwide. 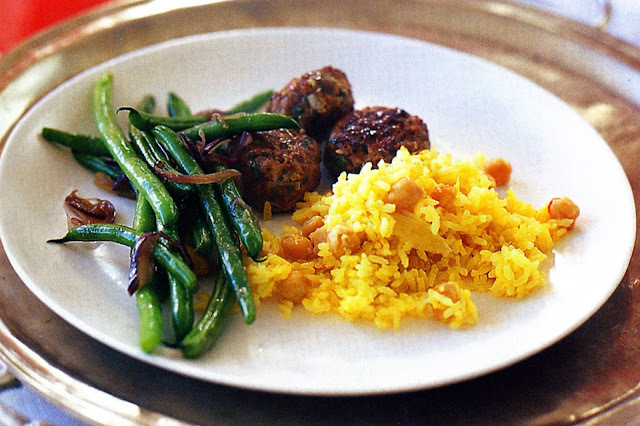 One of example of popular dish using saffron as one of its ingredients. There are many other dishes that using saffron as one of its important ingredients – even though it’s only used small amount of it. The stigmas of Crocus sativum (the Latin name for saffron) are only picked at dawn, before its flowers open, in order to preserve its aroma and properties. Part of the reasons why handling saffron production process is so delicate. Perhaps many other smaller things that only known by the farmers in order to produce good quality of saffron. On a par with sommeliers and cheese tasters, saffron too has its specialists, who decree which varieties are the best. It’s good to know there are some experts in this area for saffron. Without an expert, the quality of saffron might be decreases without anyone noticing it. The main ingredient of magic potions in ancient times, it used to be sprinkled between the sheets and brewed in tea to make a man fall in love or to dispel melancholic thoughts. Something interesting to know. Well not all of us will fall to it, but sure it’s practiced in some societies. In the region of Oxiana, between Iran and Afghanistan, little girls only are allowed to pick saffron. They have to be virgins or under 13, or so the legend goes. Another reason to make saffron become rarer. No one knows, how this will help with the quality. Anyway to make sure this plants taken care of during all of its production process is the good start to make sure successful production. 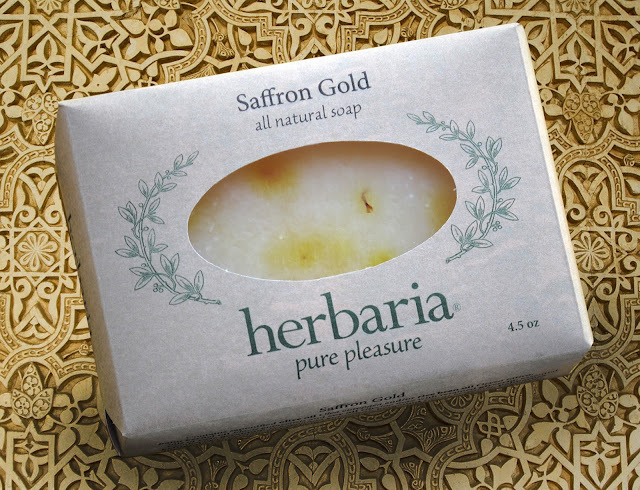 Saffron aroma's and colour improve food's quality. Saffron risotto, one of popular dishes using saffron. May it someday more available to everyone. It is possible to buy wines aromatized with saffron, as well as many liqueurs, comprising vodka and gin, which are renowned for their digestive properties. Yes, saffron had been used for so many purposes, so this is not so surprising. From Cleopatra onwards, it is said that the aroma lingering on the skin after a hot saffron bath is enough to make any lover go mad with desire. Yellow Also named "angel hair" because of its colour, the word saffron derives from Arabic: Za'feran and da asfar, meaning yellow. Even though it’s no longer practice today that’s something interesting to know. Maybe not all of us agreed that saffron aroma and tint are the sexiest, but still it can be part of the contributor by mix it with other ingredients in perfume making. Well you know there are many other things we need to know about this expensive spices. Sure it’s wonderful that finedininglovers.com had listed some of wonderful things about saffron that we should know. Hopefully someday, saffron will be more available to others same as coffee and tea today.